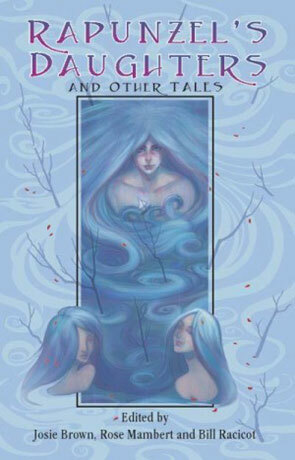 Rapunzel's Daughters is a short story collection edited by Josie Brown, Rose Mambert, and Bill Racicot. The thirty one stories all hold the common idea of expanding on the classic children's tales with a more modern, adult spin. Each of the short stories are written by a different author and the length, style and quality all vary greatly, with some quite lighthearted and amusing while others are dark and tempestuous. They range from Little Miss Muffet exacting revenge on a spider, Big Bad Wolf giving top ten tips on catching yourself a LRRH (little Red Riding Hood) and even the true telling of just who ended up with the dashing prince in Cinderella. Like any anthology that features different authors joined by a common theme rather than similar voice you are always going to get a mixture of talents and this collection is no exception, it's very eclectic but does tend to lean towards the good end of the scale for the most part. Interestingly too is the fact that as each of these tales are about one fable or another there is a sense of cohesion and despite the different writing style it all works very well. The actual length of the stories does change dramatically from one to the next, the Cinderella story at the beginning is little more than a note while others are full length short stories. Each of the stories has an introductory page which mentions the original tale the new story is based on along with information about the author which all adds to the books ambience. Overall I really enjoyed this anthology, the idea of continuing the stories from traditional tales in an adult darkly humorous voice works very well and there are some real short story gems, recommended. Written on 29th June 2011 by Ant.